EIKON is made of certified ash, oak, bamboo or walnut and a lampshade that is attached simply with the help of magnets. The wooden socket of the lamp constitutes the minimalist and clean base of the lamp. The lampshade, made of metal or silicone and available in two different sizes, forms a perfect contrast with its vibrant colors or, as in the case of its newest edition "RAY", with its elegant and reflecting surface. 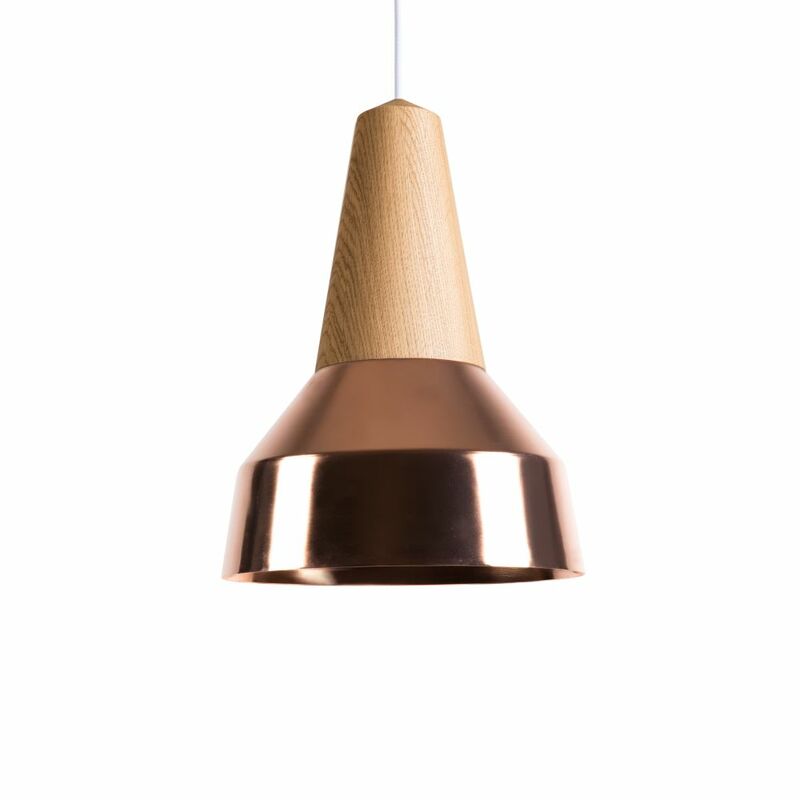 Due to the magnetic system, the lampshade can be changed with only a small grip, and another color, shape or material can be attached to the wooden fixture. With its removable, interchangeable lampshade, the lamp can be installed in all kinds of rooms and living areas. The modular und flexible system can therefore help to rearrange a room again and again, according to taste and requirements. But also for bigger spaces, like salesrooms and hotels, the lamp offers a high degree of variability since different colors and shapes can simply be switched and combined.